Get and install WinUAE. 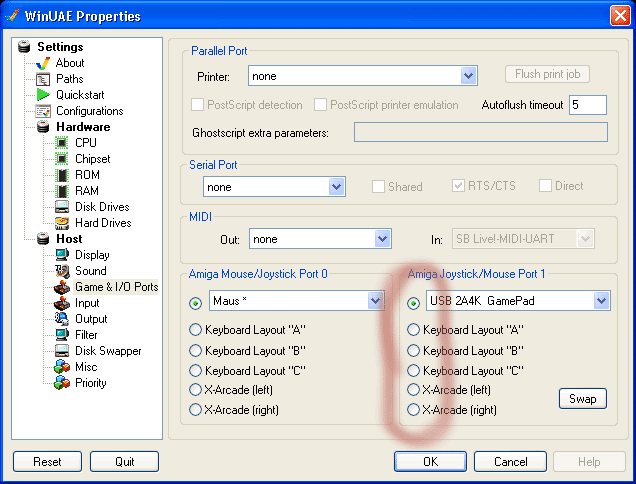 This is a program that emulates (="simulates") an Amiga and let�s you (e.g.) 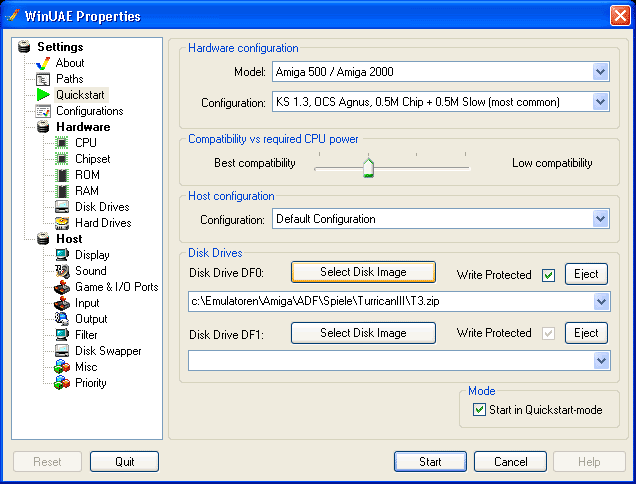 play your old games on a modern PC. 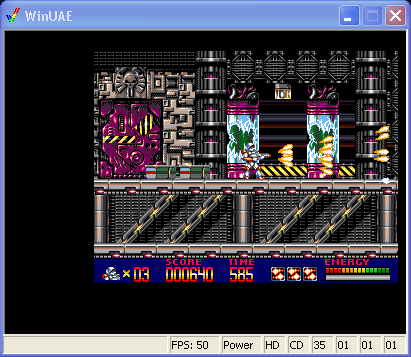 Get a Kickstart ROM (the Amiga BIOS-equivalent) and save it in the WinUAE-Directory, best create a subdirectory "ROMs". Since it is still copyrighted, there are only few legal ways to get one. I recommend using Kickstart 1.3. The second way is only for the pro�s since it is a bit complicated and will not be further explained here. Get Turrican ADFs (Amiga Disk Files)! You could start with the Demos found at the Bonusfiles. At the Factor 5 Homepage the full Versions are available for free download, but they seem to be not 100% correct, some people reported problems with the Extro. Start WinUAE. You will see a rather complex interface. 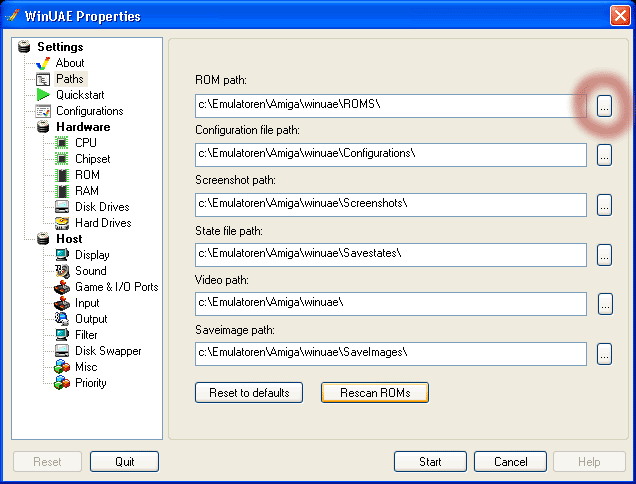 First choose the path to your Kickstart-ROM. After selecting, a requester pops up and should tell you that Amiga 500 / Amiga 2000 Kickstart 1.3 is available now. Choose the Joypad or Keyboard Layout you want to use. Select your Disk Image and press Start.